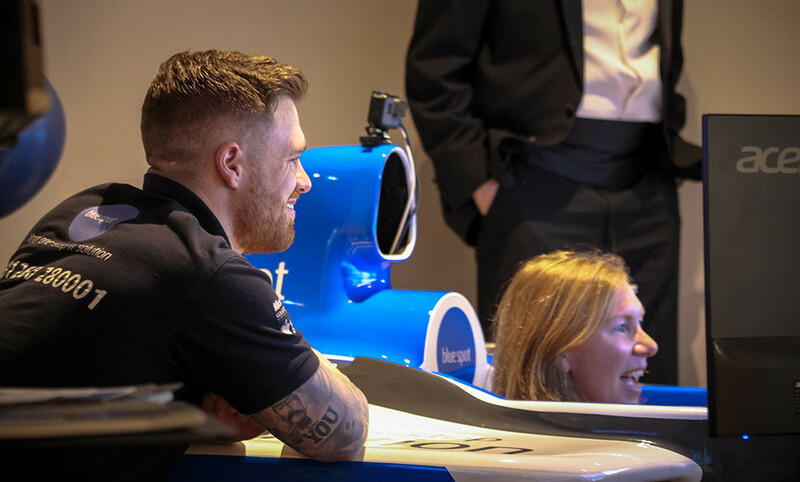 Show us what you’re made of on our triple screen F1 simulator which is available to hire! – You never know, you may well just be the next Hamilton! 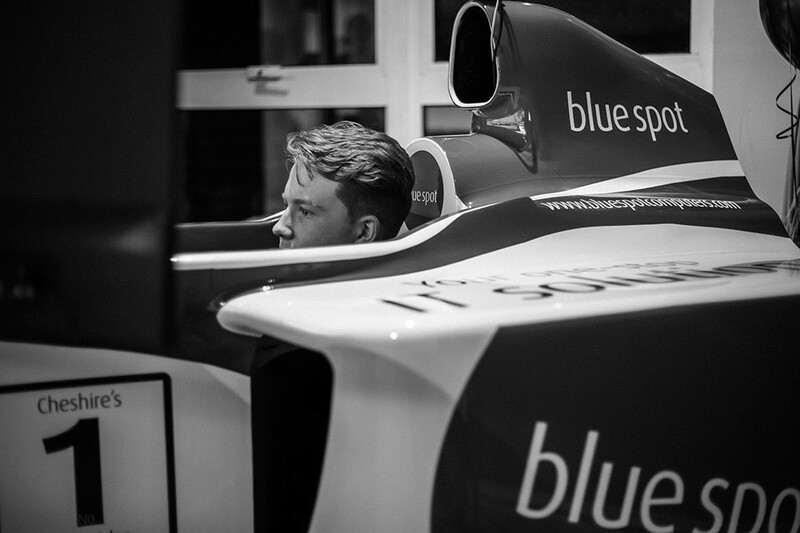 Welcome to the Blue Spot F1 Experience, a cutting edge triple screen F1 simulator, now available to hire. 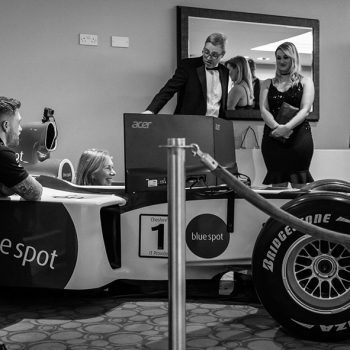 Whether you are at an event or function, running a team building day or simply throwing a party, our simulator is the perfect way to draw a crowd and offer a fun, exciting challenge. 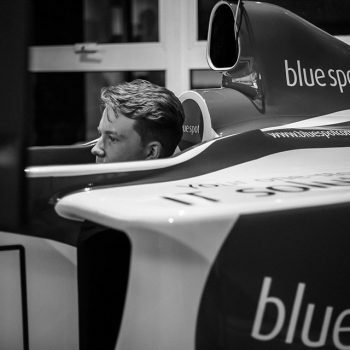 Our F1 Simulator has been a work in progress for a while now and started out as an official F1 test car for Toyota F1, driven by the likes of Timo Glock and Ralph Schumacher. It now boasts 3 high definition monitors, complex custom wiring layout, immersive sound system and a top of the range gaming PC hand built by the engineers at Blue Spot. 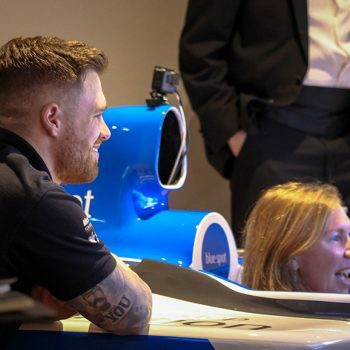 Our F1 simulator is fully customisable, not only can we custom wrap the car itself to match your brand, we can also fully customise the in-game car and graphics to suit all of your requirements. 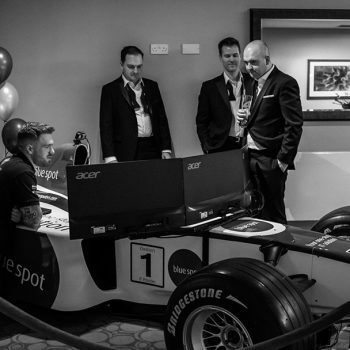 Spice up your event with a REAL LIFE F1 car turned simulator. 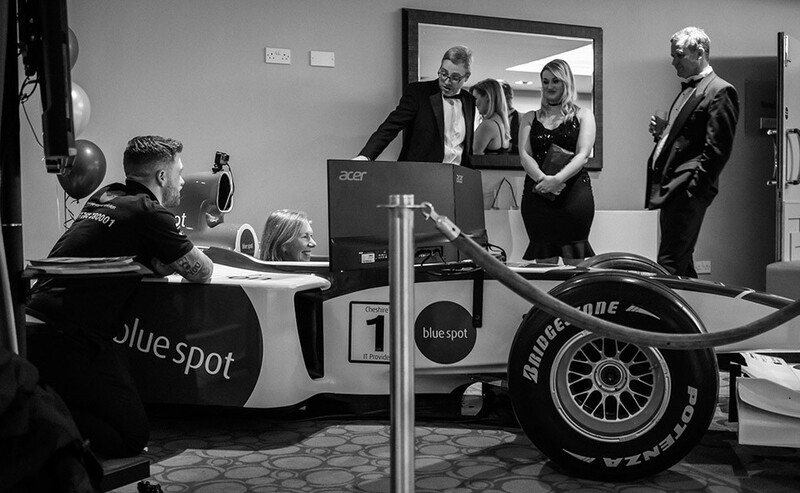 Guaranteed to turn heads and create a buzz, the Blue Spot F1 Experience will leave your guests talking about your event! 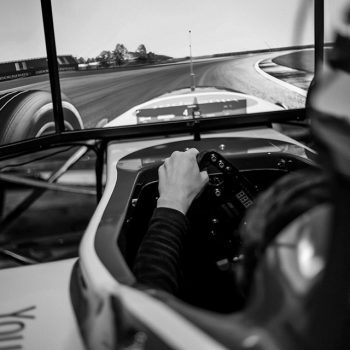 Choose any of the current F1 circuits and try your hand at either manual paddle shift or automatic gearbox to customise your driving. 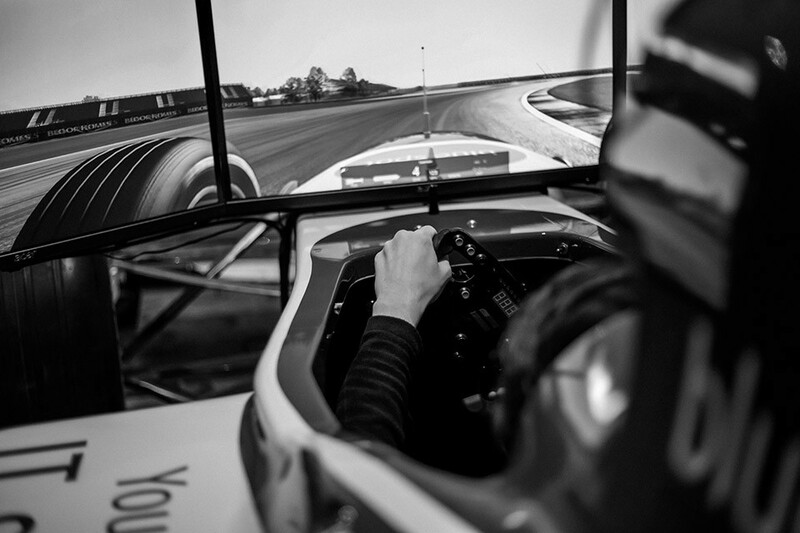 Take full control of your F1 simulator experience! 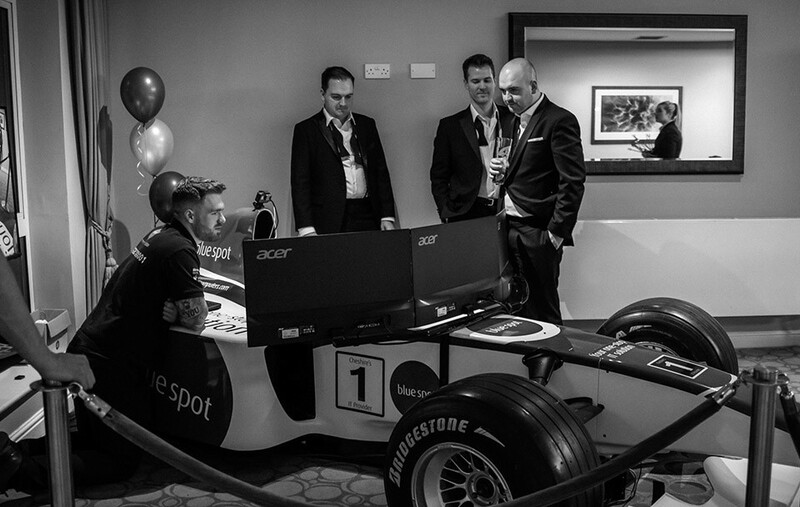 What an attraction the F1 experience was at the East Cheshire Chamber of Commerce Awards Evening. The car seemed to attract almost as much attention as the Awards Event itself. 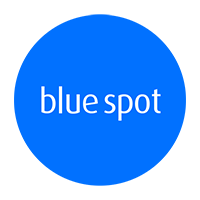 Thanks to “Blue Spot” for giving us something both different from the norm and something extra for the evening.